Enjoying a full balanced meal for dinner is important. 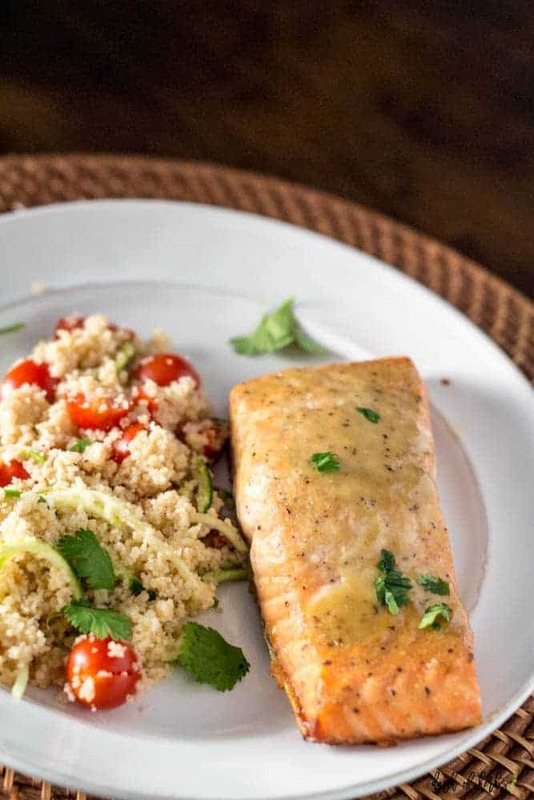 This honey dijon salmon with veggie couscous is such a meal and so flavorful. You wouldn’t know you are eating fish – and salmon at that – with this delicious marinade. It’s so good, you won’t know what’s happening, because you might start liking fish dishes. This meal is so good. 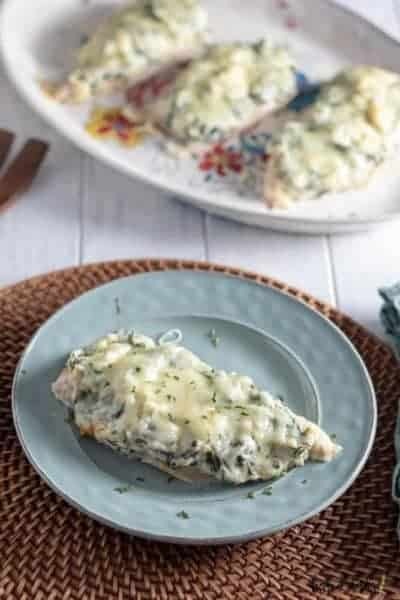 Not only is it salmon – which I personally love, but my husband isn’t the biggest fan – it’s got a wonderful veggie side dish as well. Because of this marinade, we might have saved our marriage. Ok, that’s slightly dramatic, but I think I was able to convert my husband to like salmon and seafood dishes. That’s a win in my book and makes thinking of dinner recipes so much easier! 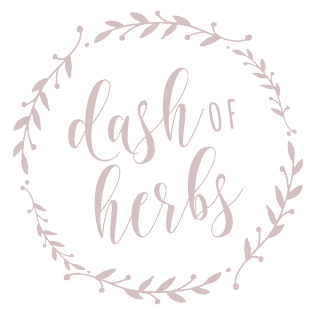 Do you ever struggle trying to come up with an entree and a side dish that go well together? 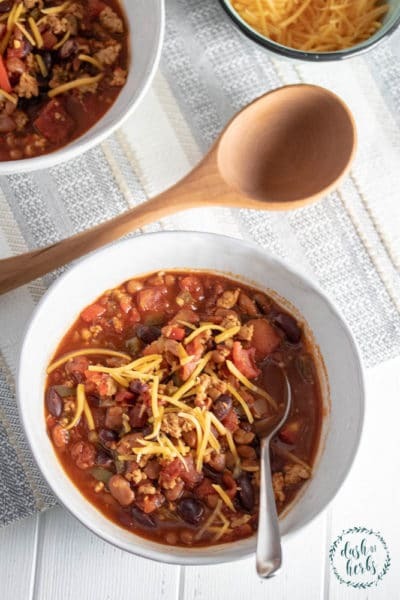 This combination is wonderful, yet different enough in flavors that your taste buds will love you. It’s also pretty easy to make. 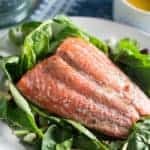 Yes, you need to prep a bit ahead of time (just in marinating the salmon fillets), but baking it after its marinated is SO easy and your meal can be prepared in about 20 minutes. 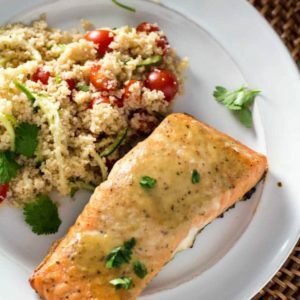 You can put the salmon in the oven, and then start making the couscous – which is one of the easiest grains to make – and add the veggies to the couscous once it’s cooked. 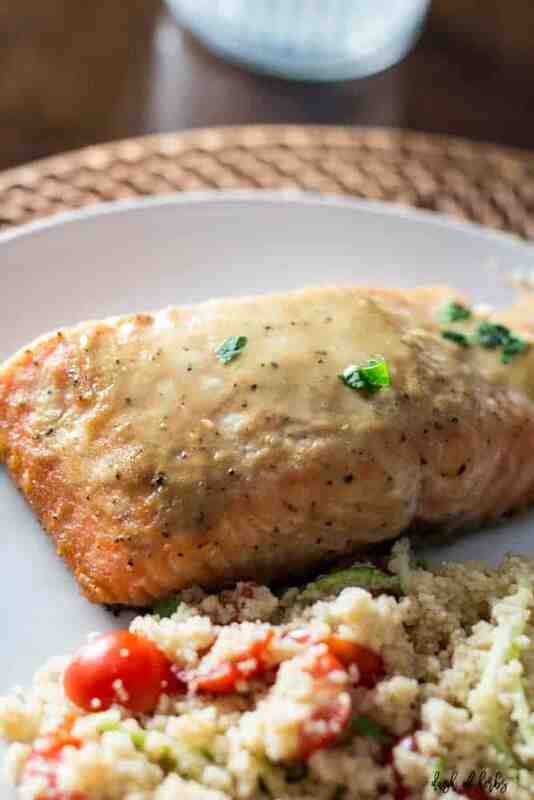 Then, you will be ready to take the salmon out of the oven and you can enjoy your easy dinner. 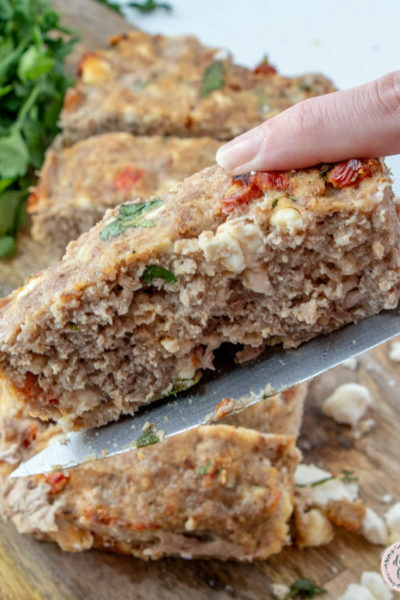 *If you want to make this gluten free, just sub quinoa for the couscous and add the veggies to the quinoa. 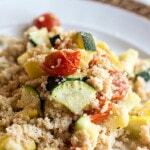 We switch between couscous and quinoa a lot around here. Place the salmon fillets, honey, Dijon mustard, red wine vinegar, garlic, and salt and pepper in a large ziplock bag. Make sure to completely cover both of the salmon fillets with the marinade. 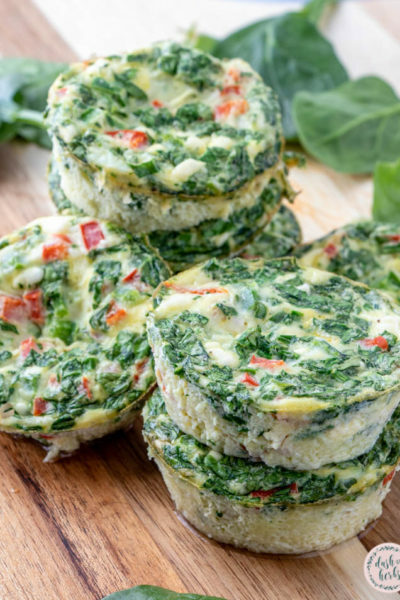 Place in the refrigerator for at least 30 minutes and up to overnight. Preheat the oven to 350 degrees On a prepared cookie sheet, place the marinated salmon fillets. Bake for about 20 – 25 minutes or until cooked through. Bring a medium pot of water to a boil. Add the 1 cup of couscous to the water and stir. Remove from heat and cover. Let it sit covered for 10-12 minutes. Fluff with a fork after it’s done. Add the grape tomatoes and parsley to the couscous. Serve immediately when the salmon is finished cooking. 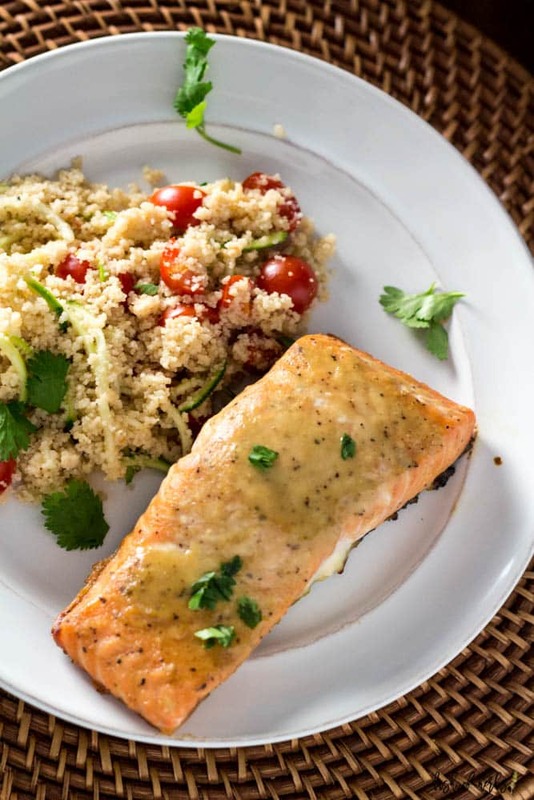 This recipe is 5 SmartPoints per serving, 1 salmon fillet and 1/2 cup couscous. 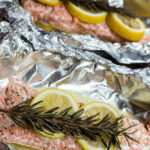 On an olive oil sprayed prepared cookie sheet, place the marinated salmon fillets. Bake for about 20 - 25 minutes or until cooked through. Bring a medium pot of water to a boil. Add the 1 cup of couscous to the water and stir. Remove from heat and cover. Let it sit covered for 10-12 minutes. Fluff with a fork after it's done. Add the grape tomatoes and parsley to the couscous. 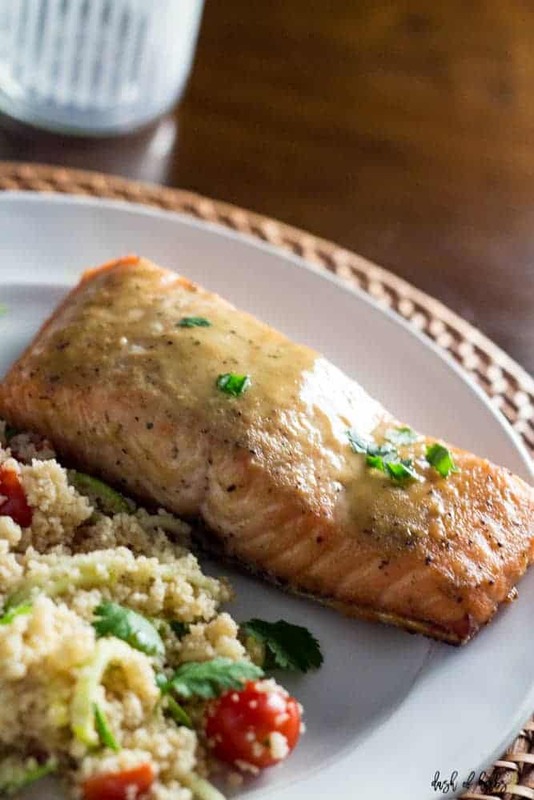 Serve immediately when the salmon is finished cooking. Thanks Amanda! I’m glad I could make something that you are obsessed with. 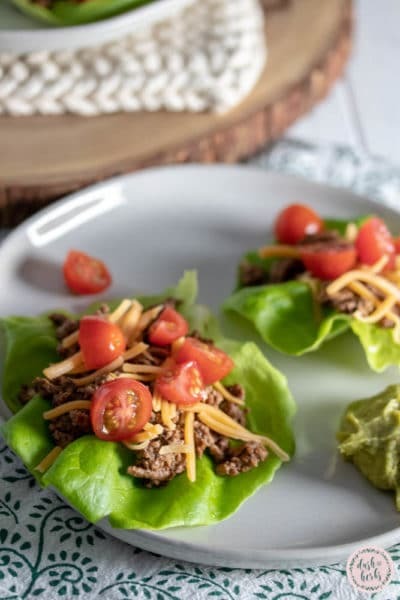 This recipe was SO good and so easy to make. I highly suggest making this. Thanks Alanna! I would never think to buy the mixture packet thingys, but that is a great idea. I love how versatile that would be – and a great side. This salmon is so good! You just made my ideal dinner! 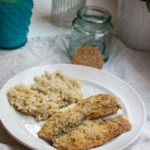 I am obsessed with salmon, and shockingly my boyfriend is too! Love the idea of having couscous on the side as well 🙂 Thanks for sharing the great recipe!